Just a blog about sports, TV, movies, video games, and life. The other night I had this random dream that I was hanging with King Bach in Las Vegas. If you don't know who King Bach is, he is a former Vine star, and has been doing movies and comedy clips on his Instagram. I suggest checking out Michael Rosenbaum's podcast, Inside Of You With Michael Rosenbaum. It was a great interview and you get to really know King Bach. 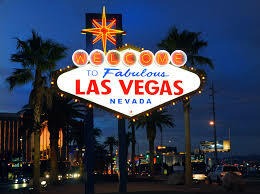 He is a fun guy from what I have seen, so I think it would be a great time in Vegas if I could hang with him. 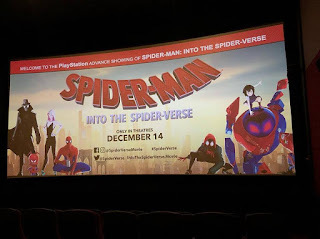 I was lucky enough to get a early viewing of the new Sony animated movie Spider-Man Into The Spider-Verse. The movie is coming out 12-14-18. My friend got passes to the early showing through PlayStation. I have been looking forward to seeing this new movie ever since I saw previews for it last year, and the fact that it is based around Miles Morales was a big plus. I know it goes without saying that life is a challenge. In life you will face problems and issues that will drive you crazy. I truly believe in the saying, "When it rains, it pours". They say that God only throws at you what you can take, not sure I believe that to be true. We have all at some point, and if it has not happen yet it will, have moments where you want to just break down. 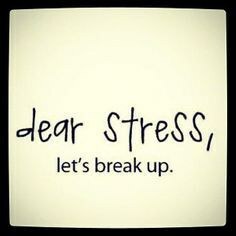 You need to find a way to deal with whats going on in your own way to keep from breaking down. First off, no spoilers. 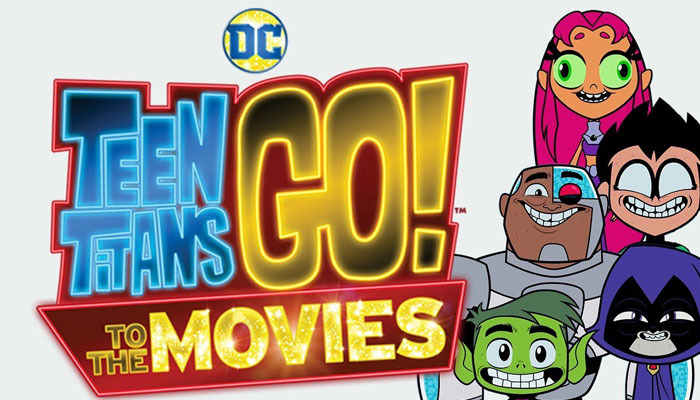 Over the weekend I saw the new Teen Titans Go movie that came out on July 27, 2018. If you have been on the fence about see this movie, don't be, this is a must see. It had me laughing from start to finish. All the funny references, from past and current DC and Marvel movies and comics was brilliantly written in to the movie. And you got to love that Nicholas Cage finally got to play Superman, even if it was a voice over roll. 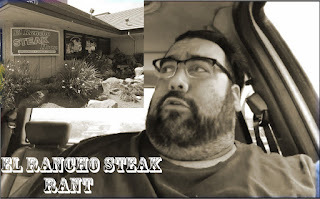 In this rant, I go off on the service at the restaurant El Rancho Steak House in Castro Valley, California. I have only been to The Cheesecake Factory twice in my life, and I really don't know if I will go back again. I went there the first time years ago, and from what I remember, it was a good experience. This last trip, not so much. Last Sunday(4/22/18), I went to the Cheesecake Factory in Pleasanton California with my brother Joseph, sister Emily, and wife Crystal, we did not have a good time. We did not have a long wait, we got sat pretty fast. The outside sitting was open, so we decided to eat our lunch outside in the beautiful weather we was having. The waiter came over and took our drink orders, and after awhile took our food order. As we sat outside, the sun started to move. When we sat down, the sun was behind the building, and now was right in my face. I get that since we decided to sit outside, that that was a possibility of happening. When our waiter came to check on us, I asked if he could bring a extra umbrella that was sitting in the corner over to block the sun, he said okay and left. I just got home from seeing The Strangers: Prey At Night, the sequel to the 2008 movie The Strangers. Both movies have the same plot line. Three people in masks go and kill people in remote areas. In the first movie, the big quote was when asked,"Why are you doing this?" was,"Because you were home". The thought of no rhyme or reason for there actions, and the way they stalked there victims gave you a real uneasy feeling. Its not really a gory movie, its more about being intense and to mess with your psyche. In this sequel the three killers, only known as Dollface, Pin Up Girl, and the Man In The Mask arrive to a trailer park campsite, and kill the keepers of the park. Meanwhile, a family that consist of a mother, father, brother, and sister, gets ready to head out to take there daughter to a boarding school, cause she is just too much to handle. There is a lot of poor parenting in this movie. They end up at the trailer park as a pit stop, which happens to be the mother's uncles place. What would you like to see more post of?